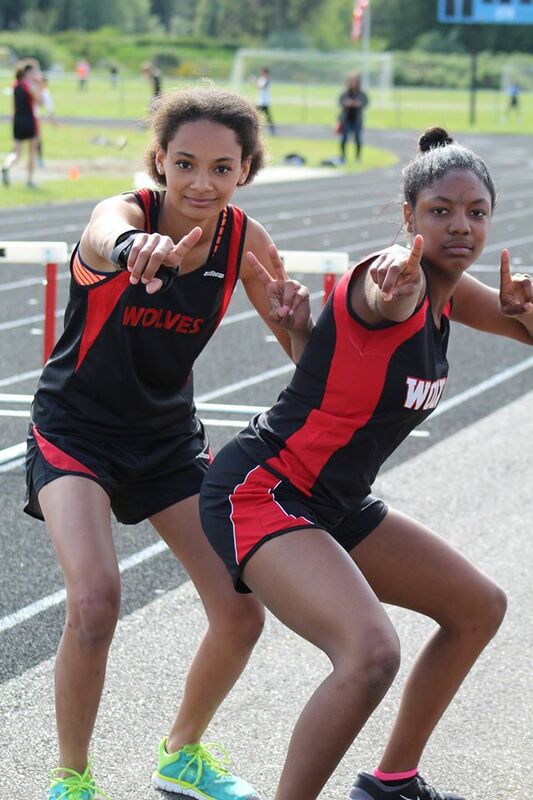 With the track season winding down, the battle at the top of the charts is ever more intense. Even when you slice time off your previous best, every one is coming hard, leading some to drop down in the state-wide standings even though they’re actually running faster than before. 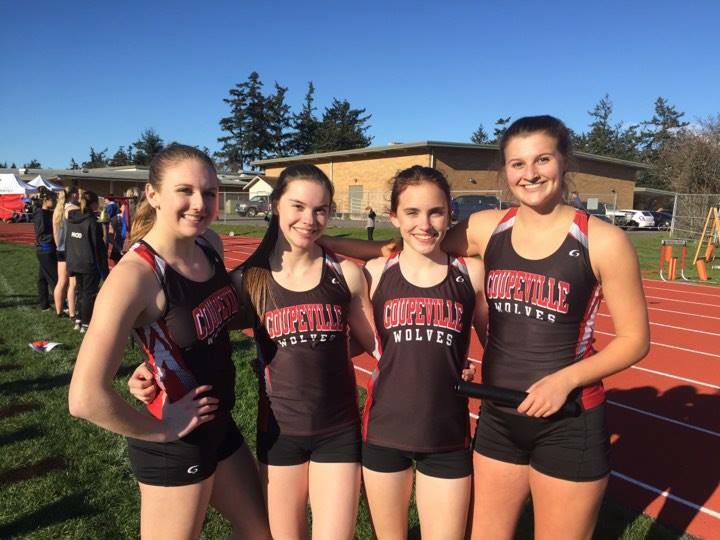 With two regular-season meets left for Coupeville, the Wolves currently have five boys and four girls who sit with one of the 10 best times among all 1A athletes. Leading the pack are junior Lindsey Roberts and senior Jacob Smith, who each appear three times on the charts. And, as soon as I post this story, some lollygagging coach or meet official will post a new time or 10,000, and the charts will once again ebb or flow. The calendar is shrinking and the competition is getting tougher. 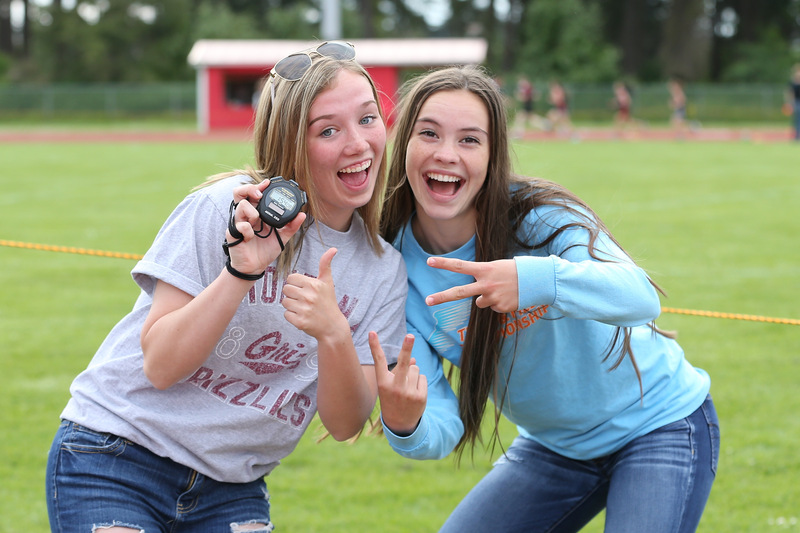 There are two regular-season track meets left for Coupeville High School athletes — including a home one with Lopez and Friday Harbor Monday (3:15 PM) — before the postseason takes everyone’s focus. As of Sunday morning, eight Wolves have posted one of the top 10 performances in 1A this season. Sophomore Lindsey Roberts leads the way, with her name popping up three times, once in an individual event and twice as part of relay teams. Fellow state meet vet Jacob Smith, a junior, is the lone Wolf to appear in two different individual events. Cassidy Moody is one to watch. 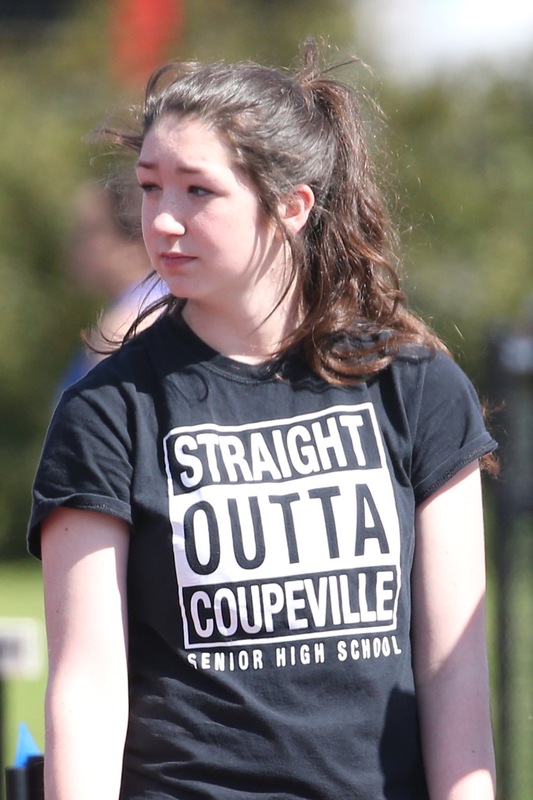 The Coupeville High School freshman has thrown her name into state title contention in the past week, setting a PR in the high jump at Thursday’s home track meet. Clearing an even five feet, she vaults all the way into a tie for the third-best performance by a 1A girl this spring, just four inches off state leader Sienna Swannack of Lakeside (Nine Mile). 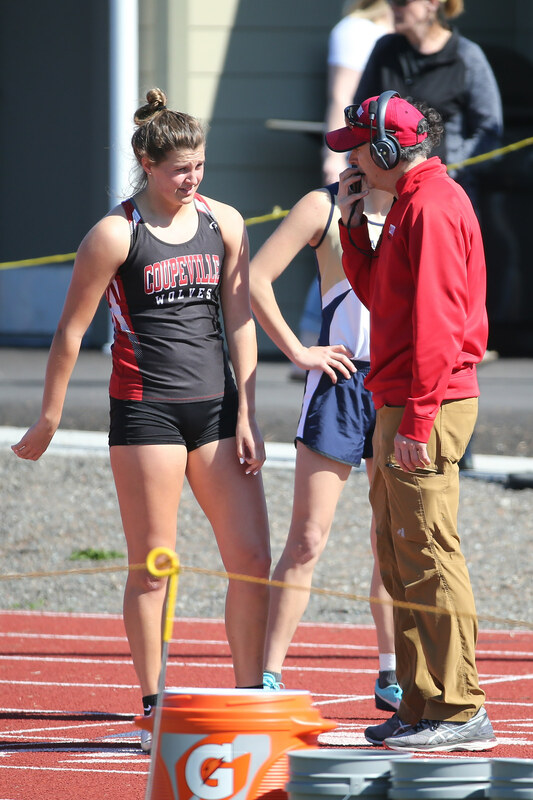 Moody’s charge into the top 10 gives CHS eight athletes (five girls and three boys) who currently sit in the top 10 in at least one event among all 1A athletes this spring. 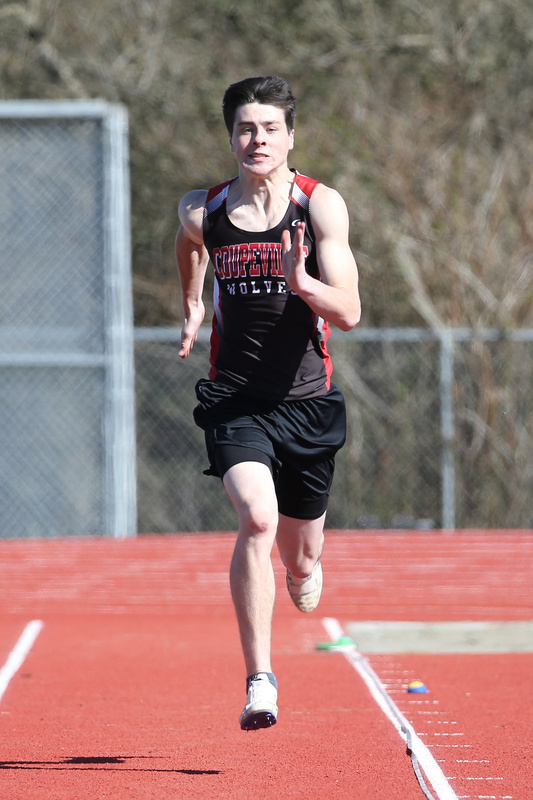 The Wolves narrowly miss out on having nine, as sophomore Danny Conlisk sits at #11 in the 400 and #12 in the 800.